So. About Disney’s ‘The Hunchback of Notre Dame’… – O, what a rogue and peasant slave am I! I rave, I rant, occasionally I write. …I really do love this film. Nope. No statement of something about it that bugs me this time. It is a great film, adapted as it is from a book where just about the only people left alive at the end are one lucky son of a gun poet, the knight who caused a good deal of the whole mess, the woman who (oh no! What a punishment!) he must marry, and a goat. Personally I think the goat deserves her own book, but you can’t have everything in life. There isn’t much about this film that I don’t like. I love the visuals, the adaptations of the characters, the dialogue. And the music! 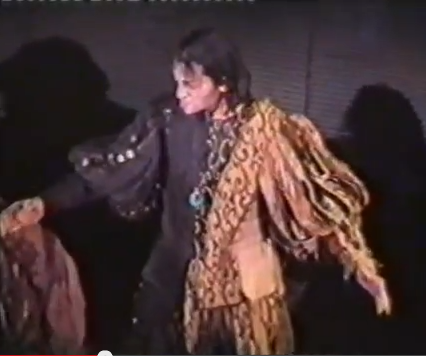 The way Paul Kandel (Clopin) hits that last note in The Bells of Notre Dame! Tom Hulce singing as Quasimodo! Esmeralda’s heart breaking God Help the Outcasts! Tony Jay singing Hellfire! Hold onto that last one, we’ll be returning to it in a minute. I’m going to make a very bold statement here, which might be controversial – I even enjoy the gargoyles. They’re fun and supportive and gave Quasimodo someone to talk to, and sometimes they provided some real comic gems. Again, when they weren’t singing. 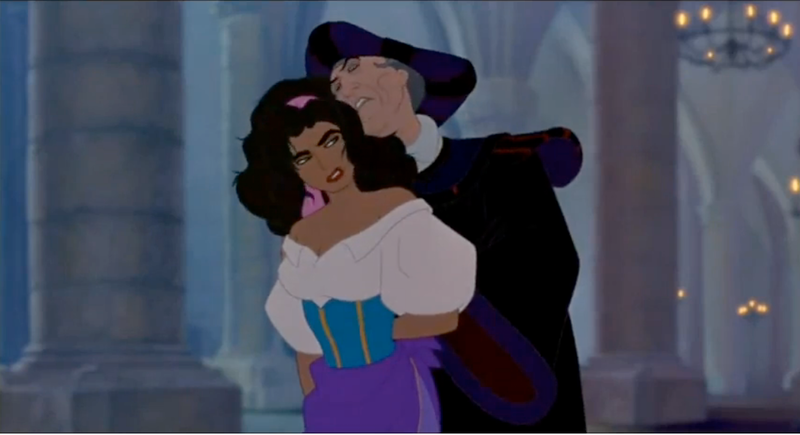 Really, I’m sure a lot of people would agree with me when I say that you could take A Guy Like You out of the soundtrack and let it drop into that fiery pit Frollo was ranting about, and we would rejoice and not mind one little bit. 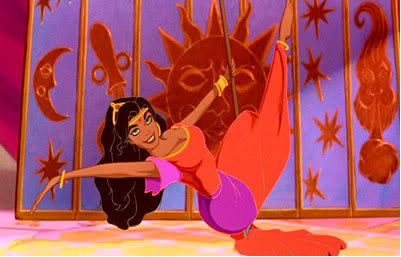 ‘Wait, was Esmeralda pole dancing just then????????????????? 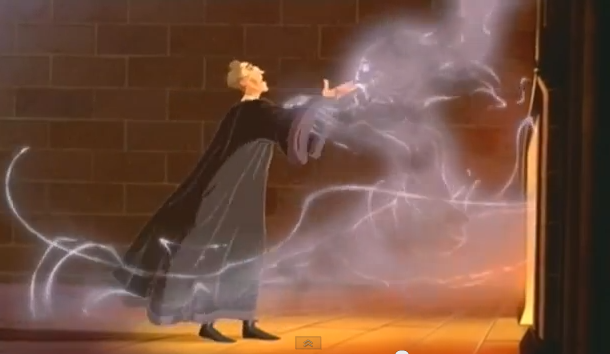 ‘Wait, did Frollo just sniff Esmeralda’s hair????????????????????????????? Yes. He did. He really did. Do I really even need to elaborate on Hellfire? You’ve all probably already seen it in all its glory and come to horrified and fascinated realizations of your own. If you haven’t seen it, shame on you; go and watch it now. I sat there marveling at all these dark, adult themes which permeated not only this song but the entire film. Even at the tender age of seven, as yet unaware of all the connotations of the above images that my teenage self would gape at, my tiny brain was well aware that this was a fairly dark film. Watching a woman get killed on the steps of a church, and then watching a baby nearly get thrown down a well, will do that. But it took years for me to understand how far this film was willing to push the envelope, and I loved it even more for daring to do so. Now, I hear that there will – eventually – be a Broadway stage production based on the film. Or rather, there will be an English language version of a really rather splendid production that already premiered in Berlin back in 1999, Der Glöckner von Notre Dame, which took cues just as much from Victor Hugo’s book as from the Disney film. Phoebus, for example, isn’t quite the knight in shining armor here; he’s a decent guy but he’s a bit of a womanizer at first, necessitating character growth and development. Clopin has a much larger part to play in this production, donning the disguise of an old man to provide narration and then throwing it off again just as quickly to dive back into the action as King of the Gypsies, a role that was never really elaborated upon in the film. I adore Paul Kandel’s voice work, but this version of Clopin has his own merits, not least the fact that he was portrayed by Chris Murray, OMG. 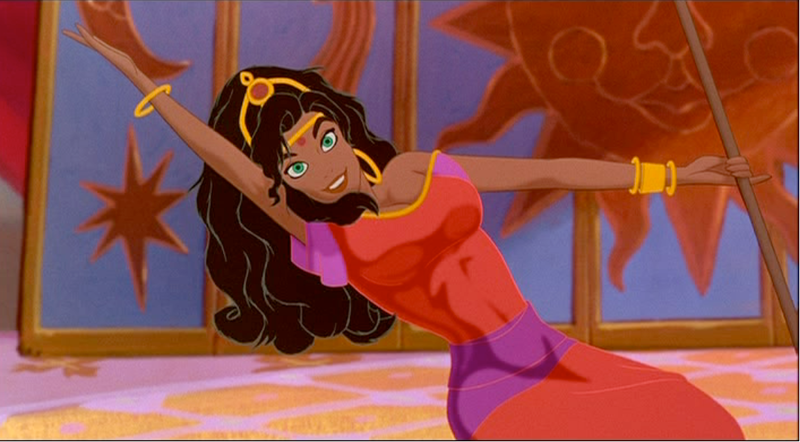 Esmeralda, too, undergoes a few changes from screen to stage. Not taking their cues from the book this time – and thank goodness – this version of Esmeralda is much more wary and withdrawn, at first. When she’s introduced we’re given some back story about how she nearly got the rest of the gypsies she was travelling with caught by the authorities, because she tried to go back for someone who was captured. Clopin warns her that in this underworld everyone needs to look out for themselves first and foremost, and she declares that she’ll never put herself on the line for someone else again. That she proceeds to do just that when Quasimodo is in trouble creates a new spin on the situation, and on Esmeralda herself as she gradually opens up to both Quasimodo and Phoebus over the course of the show. For anyone who hates the gargoyles, you’ll be pleased to know that they…weren’t exactly toned down for the show, but they were made much less silly while still being amusing and, occasionally, quite dark. It’s also outright stated that they’re all in Quasimodo’s head, which makes the whole situation even sadder. …before starting up with the reprise to The Bells of Notre Dame, which the rest of the cast join in with and which admittedly is pretty damn glorious. And I like this ending. It’s dark, tragic, heart breaking and it works. Not that I ultimately prefer it over the film version, but I applaud the production for ending that way, and I don’t think it should have been done any differently. Which is why I wonder if, should this show finally manage to get to Broadway, they’ll change the ending for the infinitely happier version in the film. I don’t know if it would be a good or a bad thing, and I would love the show and desperately try to get to America to see it regardless. If you’re interested in checking out Der Glöckner von Notre Dame, you can find out more about it here.